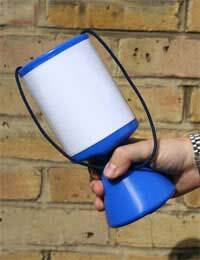 Street collecting can be a great way to raise money and increase the visibility of your charity. However, it is vital to remember that street collections are subject to various regulations, and that these rules must be adhered to. In the first instance, you should decide whether you wish to collect on public or private property. If you are collecting on public property you must apply to the Council for a permit, whereas collections on private property will be subject to permission from the property owner. Your first step is to make an initial enquiry to the relevant Council. This could take the form of a simple letter or phone call. You should direct your enquiries to the Licensing Department, as this is usually the group that deals with street collections. You should outline the nature of the charity for which you are collecting; you may wish to send literature regarding your campaign. Unless the Licensing Department judges that it would be unsuitable for your charity to hold street collections, they will then send you an application form. You will need to give details of your preferred time and date for the collection, and provide details of the charity. Each Council has their own requirements, but most will expect to see a name for the Secretary and Treasurer of the charity, along with their registered address. They may also wish to see a copy of the charity's accounts. It is worth photocopying the form as soon as you receive it, as many Councils are reticent to send out duplicates if you make a mistake. If your application is successful, you will be sent a collection permit in the post. You must keep this safe, as you may be asked for it on the day of the collection. Where relevant you should also make sure the charity in question is aware of the collection. The Council may also expect you to fulfil certain requirements after the collection has taken place. These vary from Council to Council, but may include things like writing to the local newspaper to thank residents for their donations, or filling in and returning a Statement detailing how much your collection raised. Again, your first step for collecting on private property should be to contact the property owner. Depending on the property owner, you may find that they dismiss your application out of hand. Furthermore, depending on the area, you may find that you will be required to seek permission from the Council as well. This is generally only required if you will be collecting outside the property in question; for example on the street outside a supermarket. Different property owners have different procedures for applications. For example, some supermarkets employ agencies to vet requests. Regardless, you will at least be required to provide information about the charity for which you are collecting. Having attained permission from the property owner and, if necessary, from the Council, you will receive confirmation from the relevant bodies. You should then ensure that the charity is aware of the collection. Permission may be contingent upon your fulfilment of certain requirements, including providing returns to the property owner and Council. In general, applying to a private property owner is a simpler process than applying to the Council. In either case the application process should not be too arduous, and the benefits far outweigh the necessary work. Good luck! Questionnaire: Do Street Collections Suit My Purpose? I want to raise money for my best friends daughter, she had a the rarest form of bone cancer which is untreatable and four days ago had her leg amputated. I want to do a raffle/auction to raise some monies for a prosthetic leg. I need to go around shops ect for prizes but not sure how or if I need a charity or fund raising number, is there anyone out there who can help me please. Yes you would need a charity numberto raise money in this way especially if it was to run a raffle. It might be easier to contact an existing charity (such as the the Limbless Association or your local NHS trust to see if they will offer their support to help you do your own fund raising. My name is emily and me and my friend wants to raise money for a hospital that helped my friend and her family through everything while her 9 year old brother died back in may.. so we want to raise money not only for the hospital but to help the family for whatever they need like expenses but also for them to feel like they have the support. It's important to distinguish between this kind of fundraising on the street and the chuggers, professionals who want to sign people up to monthly payments to charities. This kind of fundraising relies on volunteers standing with tins, so it's far less aggressive. In most cases, with registered charities, there should be no problem obtaining permission for street fundraising. On private properties it's a little different, and will rely on the property owner. Me and my friends want to collect money on streets for my friends daughter who is 3 and has terminal cancer, we want to collect money to give her family a day out or do something special for them.